Αυτό είναι το ανανεωμένο Seat Ibiza το οποίο θα κάνει ντεμπούτο στην έκθεση της Γενεύης τον Μάρτιο. Το αυτοκίνητο φορά την PQ25 πλατφόρμα του ομίλου, την ίδια που φοράνε τα Audi A1 και VW Polo και στιλιστικά το αυτοκίνητο απέκτησε νέα μπροστά φωτιστικά σώματα, νέο προφυλακτήρα, κυψελοειδή γρίλια, ενώ στον επιπλέον εξοπλισμό υπάρχουν φώτα Bi-Xenon, LED ημέρας, ED πίσω φωτιστικά σώματα και μια μεγάλη γκάμα διαθέσιμων ζαντών. Μηχανικά δεν υπάρχουν αλλαγές και έτσι το αυτοκίνητο θα συνεχίζει να φορά τους ίδιους 7 κινητήρες. Αρχικός κινητήρας είναι ο 1.200αρης με τα 60 άλογα ενώ κορυφαίος στην έκδοση FR βρίσκεται ο 1.4 TSI με τα 150 άλογα. Συνδυάζεται αποκλειστικά με το αυτόματο κιβώτιο DSG με τα 0-100 χλμ/ώρα να τα κάνει σε 7.8 δευτ. με τελική ταχύτητα 212 χλμ/ώρα. Σε ότι αφορά τους πετρελαιοκινητήρες. Υπάρχει ο 1.2 TDI E-Ecomotive με 75 άλογα και 180 Nm ροπής Διαθέτει σύστημα Start/Stop, έχει μέση κατανάλωση 3.4 λίτρα/100 χλμ και εκπομπές CO2 89 γρ/χλμ. Επίσης διαθέσιμος είναι και το 2.0 TDI με 143 άλογα, μέση κατανάλωση 4.6 λίτρα και τελική ταχύτητα 210 χλμ/ώρα. Στη Γενεύη θα παρουσιαστεί η 3-πορτη, 5-πορτη και ST wagon έκδοση με το αυτοκίνητο να ξεκινήσει εμπορική πορεία μέσα στο 2012. Σε ότι αφορά το Ibiza Cupra, αυτό θα παρουσιαστεί κάποια στιγμή το καλοκαίρι. Περισσότερες λεπτομέρειες μπορείς να βρεις στο δελτίο τύπου που ακολουθεί. The new line-up offers enormous breadth to meet every individual demand – from the compact and sporty three-door Ibiza SC, to the dynamic and universal five-door Ibiza, to the elegantly practical Ibiza ST estate car; from the extremely efficient Ibiza E-Ecomotive with 89 grams of CO2/km to the exceptionally sporty Ibiza FR with 110 kW (150 hp). There are two strengths in particular that are common to all versions – a very high standard of quality and outstanding value for money. Market introduction of the new Ibiza is scheduled for spring 2012. 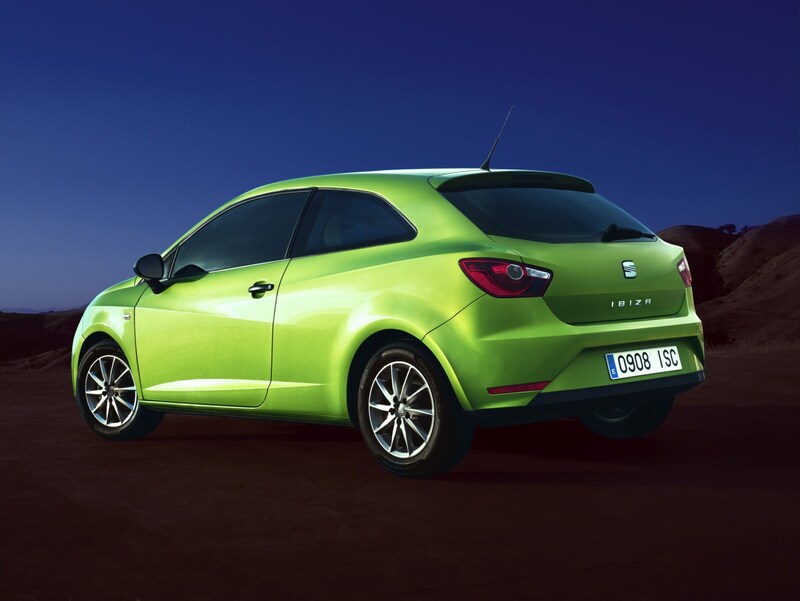 The Ibiza is one of the best-selling models in its segment across Europe – over 500,000 people so far have opted for one of the sporty, compact models from the Spanish brand. And the average age of Ibiza buyers is the youngest among in its market category. Design has long been one of the Ibiza’s foremost strengths – named as the most important reason for purchase by customers. And this is set to gain even more ground in future – with its modern, fresh and optimistic look, the new Ibiza marks a further significant development of the SEAT design identity and prepares the way for future models. 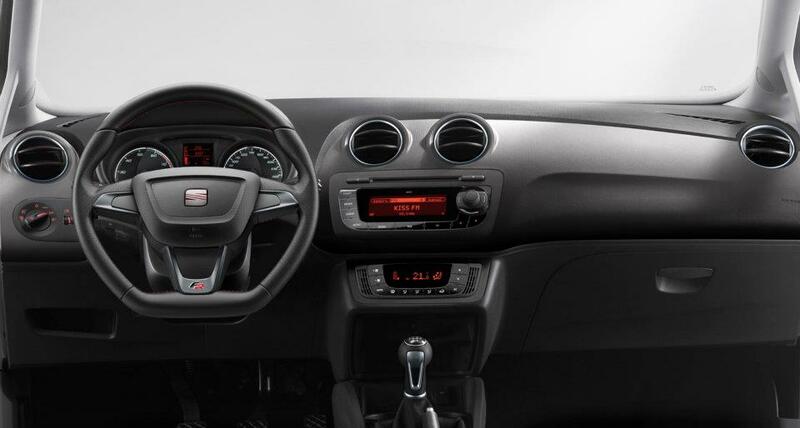 Beneath its expressive design, the new Ibiza offers an impressive array of innovative technologies. The latest-generation state-of-the-art TDI and TSI power units, the DSG transmissions and the start/stop system combine dynamics with exceptional efficiency and guarantee SEAT’s signature driving fun. A further example is the Portable Media System with touchscreen monitor. It will combine the functions of a navigation system, on-board computer, audio system and hands-free device. 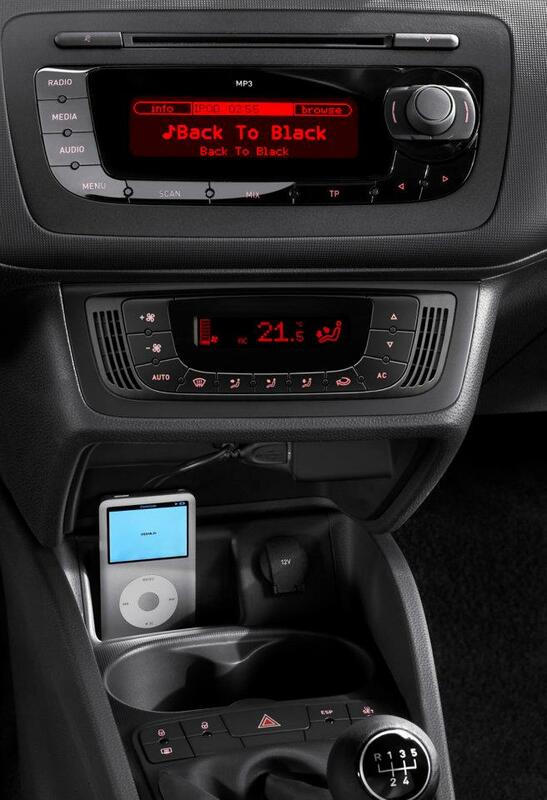 While it is fully integrated into the Ibiza’s on-board electronics, it is also removable for use on-the-go. The introduction of SEAT’s Portable Media System will come later in 2012. 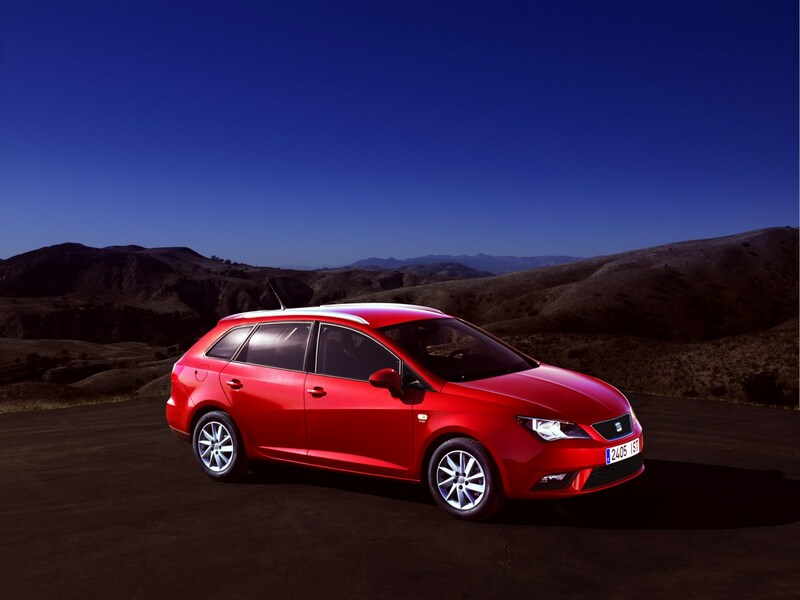 “The new Ibiza is a clear showcase for SEAT’s technical expertise. Emotional design, a thrilling drive and an exceptionally high quality standard deliver an extremely distinctive product character – and now with improved functionality. The Ibiza is the sportiest and most versatile offering in its competitive field,” says Dr. Matthias Rabe, Executive Vice President for Research and Development at SEAT, S.A.
Sporty character and high product quality are written all over the new Ibiza’s face – SEAT Design stands for technology and precision, as well as for youthful avant garde and the sheer joy of life. The distinctive centrepiece is the trapezoidal grille featuring the SEAT logo. The flatter proportions and horizontal honeycomb structure of the grille and the lower air intake emphasise the width of the new Ibiza. The bumpers front and rear have been redesigned with a look that is particularly accentuated on the sporty Ibiza FR version. Standard equipment on the FR and available as an option on other models are the large fog lamps with integrated cornering light. The sophisticated design of the headlamps bears testament to the enormous attention afforded by SEAT to the details. The edgy style of the lamps is a hallmark feature of the new SEAT design language, while being perfectly integrated into the Ibiza’s sculptural form. The headlamps are available in two halogen versions or with optional bi-xenon lamps and LED daytime running lights. The latter trace the form of the headlamps to deliver a unique light signature, as do the optional LED rear lights. From the side, the new Ibiza looks like a precisely hewn and finely honed sculpture on wheels. The characteristic “Línea Dinámica” runs from the headlamps over the powerfully drawn wheel arches to the rear. A second, equally sharp character line runs across the muscular rear shoulders to the rear lamps. These powerful lines and the interplay of taut surfaces lend the Ibiza an athletic character – on both the coupé-like three-door and the universal five-door. And even the functional estate car conveys an unmatched look of dynamism – without any restriction to its exceptional utility. “The new-generation Ibiza fits perfectly into the SEAT brand identity. It has a powerful and solid stance, it displays a dynamic character and yet always remains refined and self-confident,” says Alejandro Mesonero-Romanos, Head of SEAT Design. The emotional power of the exterior design is reflected in the interior, too – with a forceful but extremely minimalist and clearly structured cockpit design. The feeling of quality, the high precision of the workmanship, the wide choice of colours and materials ranging all the way to fine leather upholstery serve to underscore SEAT’s standards. 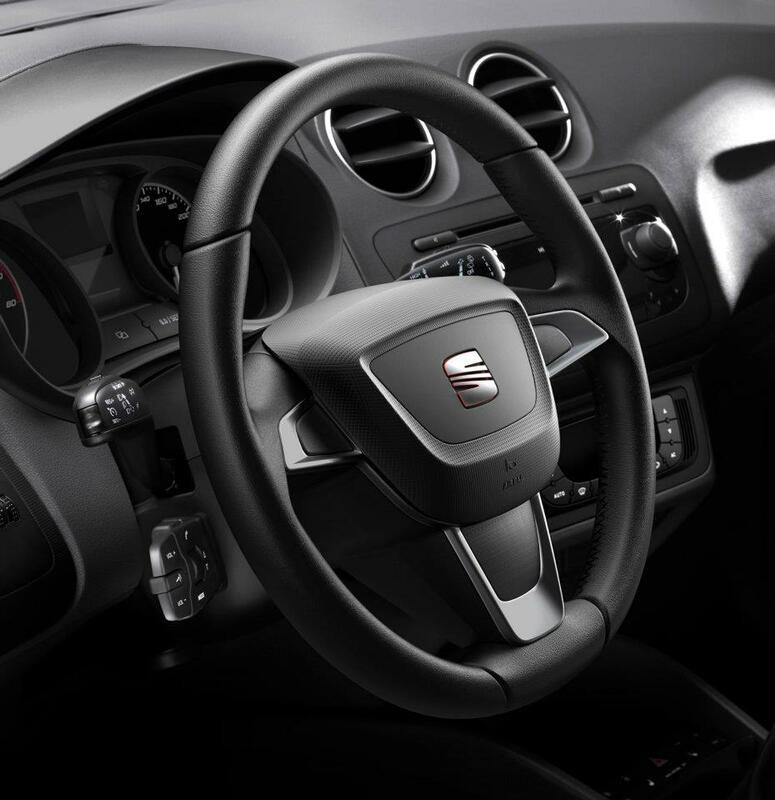 The level of detail can be sensed throughout the new Ibiza – on the steering wheel, in the new design of the climatronic, in the new paint surfaces. The focus, however, always remains on functionality – the new instrument binnacle with its improved display is one example, the significantly larger glove compartment, another. 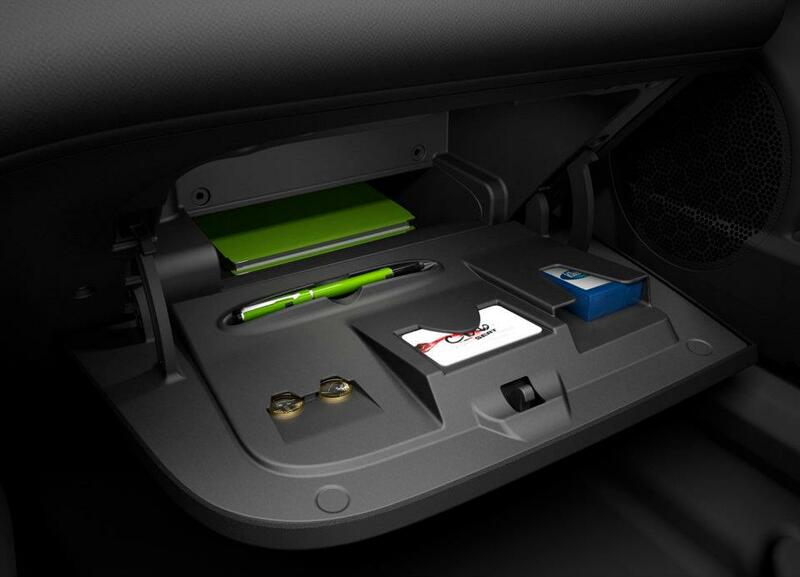 With a generous storage volume of 10.7 litres, this compartment now offers space for a lot more accessories and useful items than simply a pair of gloves. With its three body styles, the new Ibiza fits perfectly to every lifestyle. The three-door Ibiza SC and the five-door Ibiza are not only design masterpieces, but are also very well equipped to cope with the practical challenges of everyday life, with an interior that is generous for this class of vehicle, a luggage volume of 284 or 292 litres and a variable rear bench. 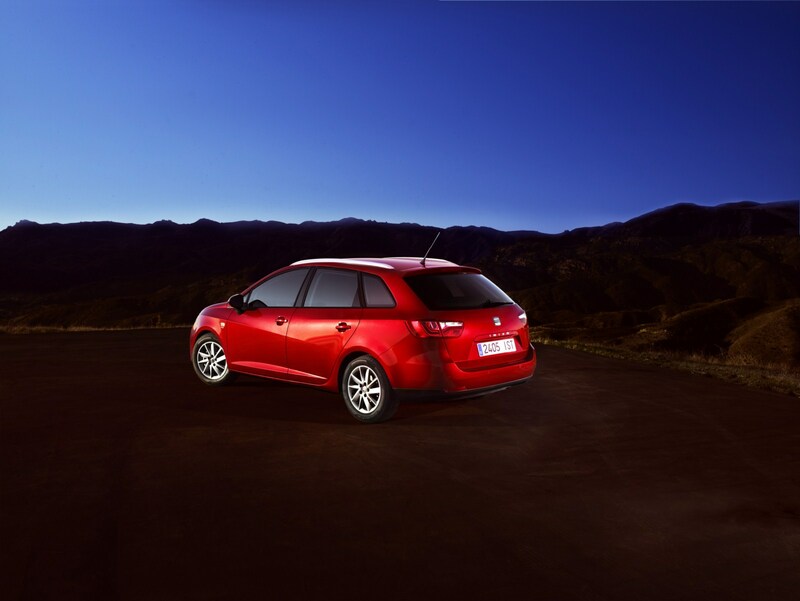 The estate bodyshell of the Ibiza ST offers a very high degree of functionality. Despite its sporty design, the load volume of 430 to a maximum of 1,164 litres is surprisingly generous. Even two bicycles will fit inside – with front wheels disassembled, of course. The engine line-up is just as broad. The range of petrol units extends from the economical 1.2 litre with 44 kW (60 hp) to the immensely perky 1.4 TSI with supercharger and turbocharger. 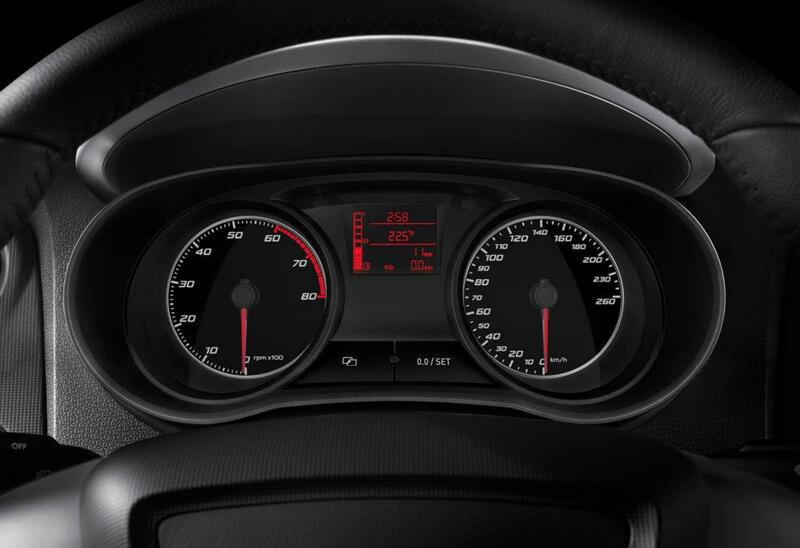 110 kW (150 hp) and the standard-fit DSG transmission catapult the Ibiza to 100 km/h in just 7.8 seconds, and onwards to an impressive top speed of 212 km/h. In the new Ibiza, this power unit is now also available for the ST estate version. Particular efficiency is delivered by the Ibiza 1.2 TSI Ecomotive – the state-of-the-art power unit with 77 kW (105 hp) delivers refined drive with its maximum torque of 175 Newton metres at just 1,550 r/min, yet sips on an average of just 5.1 litres/100 km – thanks also to the start/stop technology that is fitted as standard. The TDI engines are even more efficient when it comes to fuel consumption and emissions. 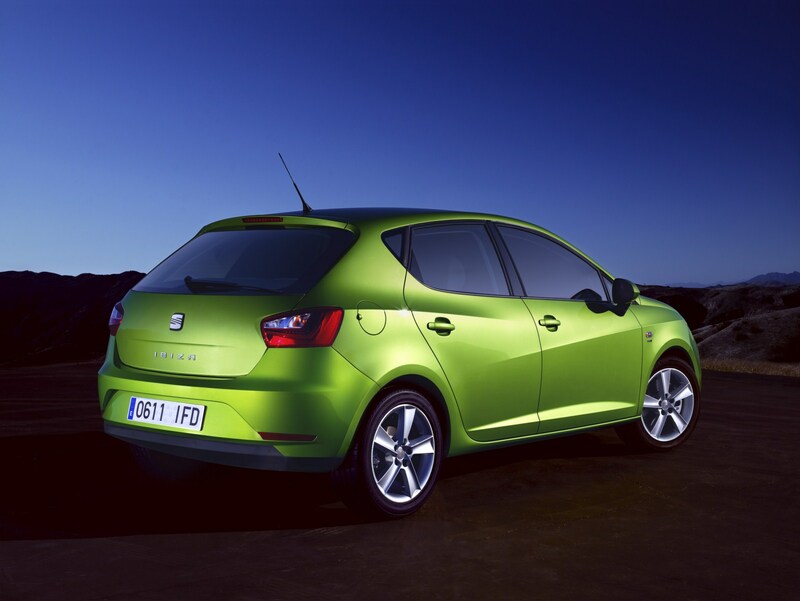 The efficiency highlight is the Ibiza 1.2 TDI E-Ecomotive, also with a start/stop system. Its average fuel consumption is a mere 3.4 litres, equating to a first-class CO2 figure of 89 grams/km – in all bodyshell variants. Yet the compact hi-tech TDI delivers attractive performance with its 55 kW (75 hp) and its very respectable torque of 180 Newton metres. 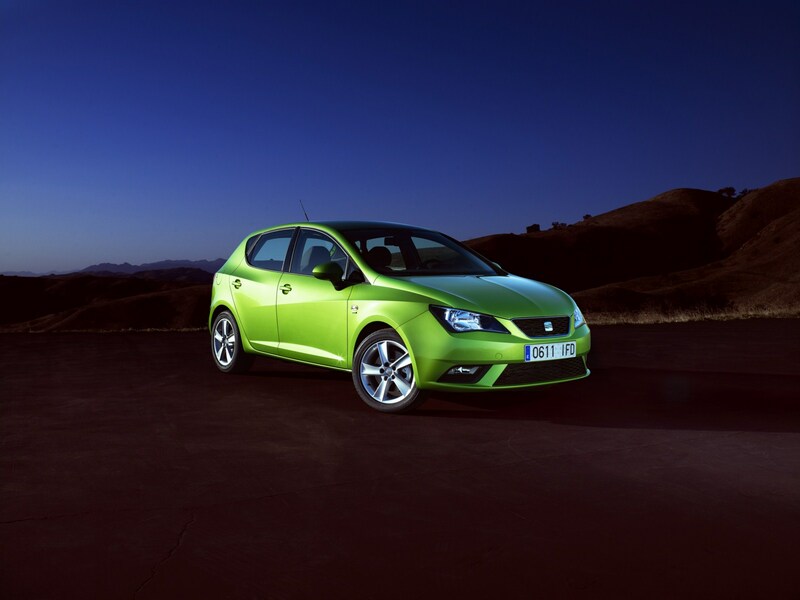 The sporty pinnacle of the Ibiza diesel line-up is the 2.0 TDI with 105 kW (143 hp). No competitor in this segment offers such a powerful diesel; no other masters the combination of performance and efficiency so perfectly – a top speed of 210 km/h comes with an average fuel consumption of just 4.6 litres. Just as modern as the engines in the new Ibiza are the transmissions. Alongside perfectly spaced five and six-speed manual gearboxes, a number of engines are offered with DSG transmissions either as standard equipment or as an option. This dual-clutch transmission offers not only the comfort of an automatic, but also the benefit of compelling efficiency. The running gear of the new Ibiza boasts an extremely sophisticated layout that has been carefully fine tuned, giving the compact model handling characteristics that are as sporty as they are safe. The precise steering and the perfectly tuned ESP stability control, as well as the XDS electronic differential lock (as of 100 hp) deliver safety even in difficult situations. A powerful brake system with ABS is a case in point. The new Ibiza runs on wheels ranging in size from 15 to 17 inches and sporting a new design. 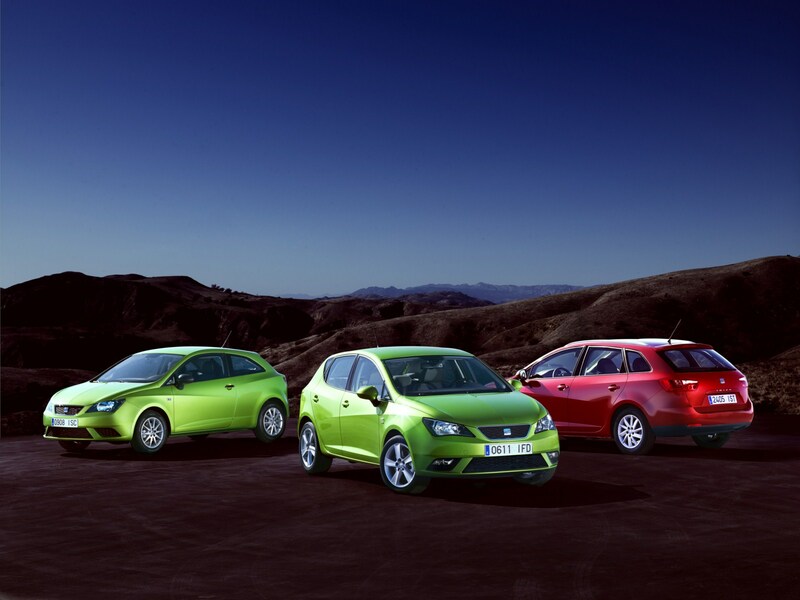 The equipment lines of the Ibiza range have also been revised, independent of bodyshell form. The base model Reference makes a compelling argument with all the key comfort and safety features. Above it is the Style version, which comes with air conditioning as standard. The Ibiza FR sets particularly sporty accents with accentuated design elements front and rear, alloy wheels and a leather-clad steering wheel. And every SEAT can be adapted perfectly to suit personal style and individual preferences with an extensive range of colours, options and accessories. And the Ibiza Cupra? Naturally, the super-sporty top model in the Ibiza line-up will also have a successor. Exceptional performance and thrilling dynamics are guaranteed, but not before mid 2012.